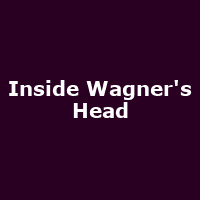 "Following his hugely successful one-man show Being Shakespeare, Olivier Award-winning actor Simon Callow turns his attention to the life and legacy of Richard Wagner, one of opera's most influential and controversial figures, in his bicentenary year. Wagner's life was fiercely passionate in every aspect: political exile, tempestuous love affairs, provocative writings - and, not least, his astonishing creative output, which revolutionised opera. Join Simon Callow for this very special one-man show, commissioned for Stephen Fry's Deloitte Ignite."